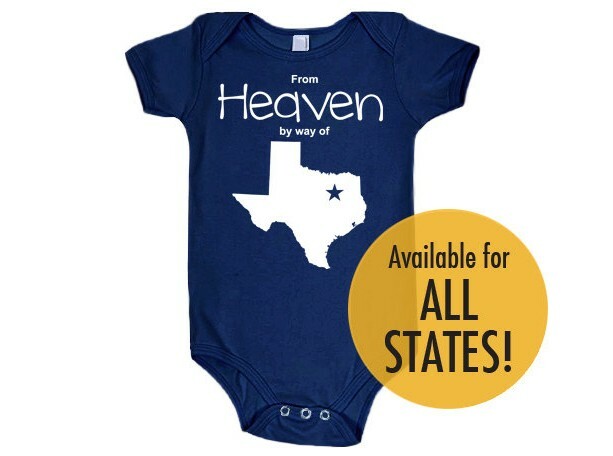 All States 'From Heaven By Way of' Customized Cotton Baby One Piece Bodysuit - Infant Girl and Boy A fabulous way to let family and friends know you're expecting! 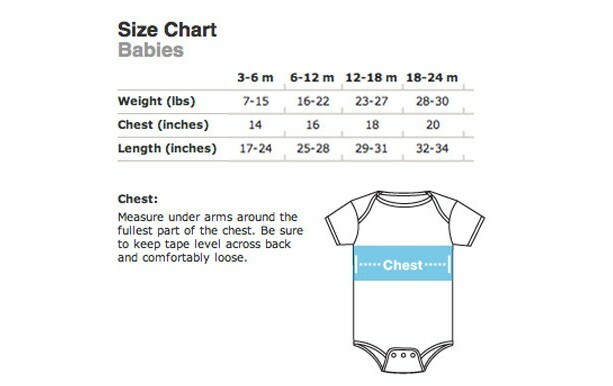 This bodysuit is sure to be a hit as a shower or new baby gift! Personalize with a star or heart to mark baby's birthplace. Super-soft bodysuit is made by American Apparel in the USA - and decorated here as well by Seven Miles Per Second. 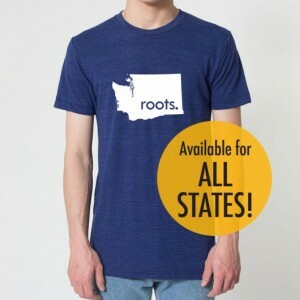 Made of 100% fine ring-spun combed cotton, it features a comfortable stretch with excellent durability through repeated washings. 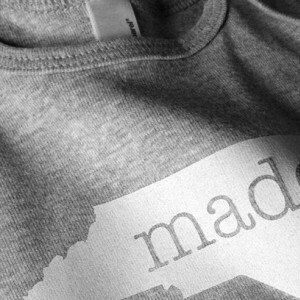 We use a thin durable heat press vinyl transfer that looks virtually identical to screen printing. You'll love the soft flexibility and lasting quality of this bodysuit! If you'd like baby's birthplace marked, simply type in the name of the city and 'heart' or 'star' in the 'Note to Seller' box at checkout. 100% Baby Rib cotton construction (Heather Grey contains 10% Polyester) Neckband designed for easy on and off Not intended for sleepwear Other colors available. Just ask! 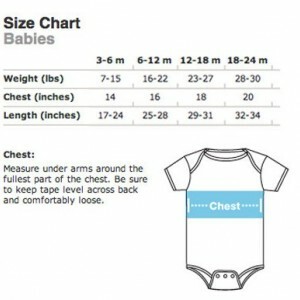 Please see chart in last photo to help determine size. Shrinkage: will shrink an average of one size when put in the dryer. We do our best to ship your order as soon as possible. 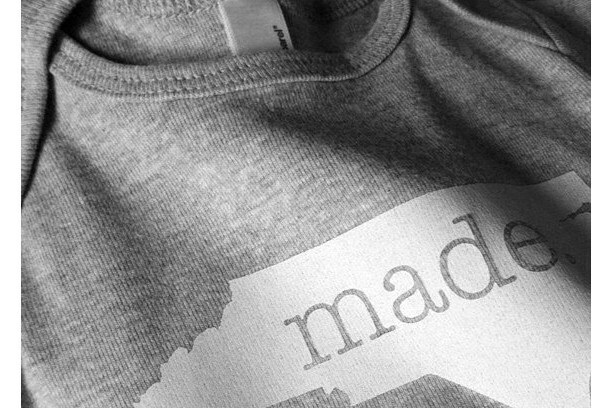 Because we print a variety of designs on multiple size and color clothing, we may require up to 10 business days before shipping. We ship USPS First Class mail. Thank you for shopping in our store. We look forward to serving you! 'From Heaven By Way of' designs for ALL states are Copyright 2015, All Rights Reserved Seven Miles Per Second and may not be used or reproduced in any form without permission.